This picture was kindly donated by Cameron Bleach. He wrote "following a recent trip to Mevagissey, I remembered this picture which my father took, having been a friend of the Lakeman family for many years. Upon returning home I decided to do a google search and came up with your website. 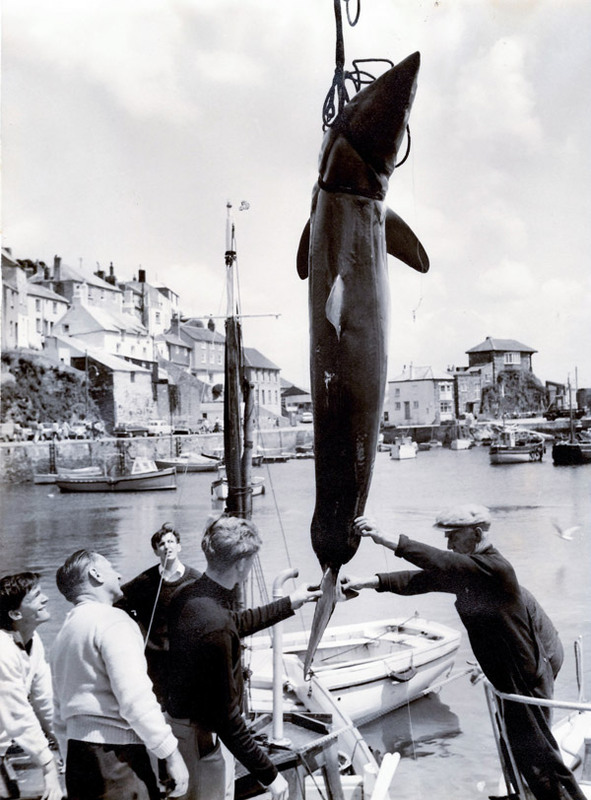 Knowing that the character at bottom right is Eddie Lakeman and having always been told that this was a mako shark, I felt it fairly likely that this is the 370lb specimen caught from Eddie’s boat Penare in 1964, which is listed in your records. I don’t know who any of the other people in the picture are, but maybe one of them is the unknown captor. "